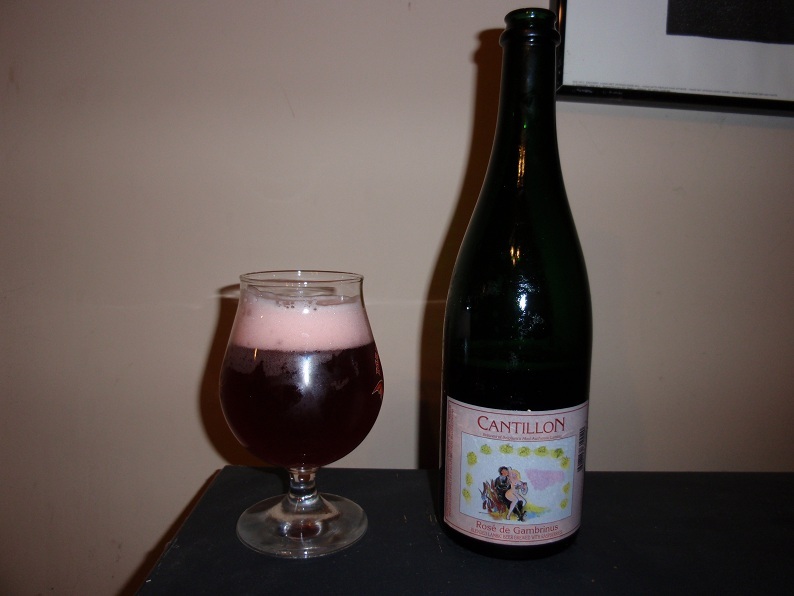 Today Â I have a very exciting beer from the historic Belgian brewer of Lambic Ales Cantillon. When I saw the post from The Four Firkins that they had gotten in some special Cantillon brews I rode over there as fast as I could, particularly because it was two days after the information was posted. Upon arriving I was pleased to see that they still had both of the brews I was looking for; Iris and RosÃ© de Gambrinus. The RosÃ© that I have before me was bottled on 13/?/20? ?, as the label is a bit worn off I will try and determine it’s exact bottling date in the future. Brewed with a boat load of raspberries this traditional sour Lambic is sure to be an excitingÂ experience. Pours a fantastic bright deep red hueÂ reminiscentÂ of the raspberries fermented with this ale. Head is about 3 fingers and a very clean light pink color. Smells ofÂ intenselyÂ of semi-sweet raspberries, wonderfully sour earthy esters and dry red wine characteristics. Taste is somewhat overwhelmingly sour at first. With notes of sweet and sour raspberries, cherries, soft vinegar, a variety of earthy esters as well as many citrus & acidic esters all at play. Some might relate the flavors of this ale to bacteria or bile, but as you continue to consume it the flavors are really quite nice andÂ complimentary. 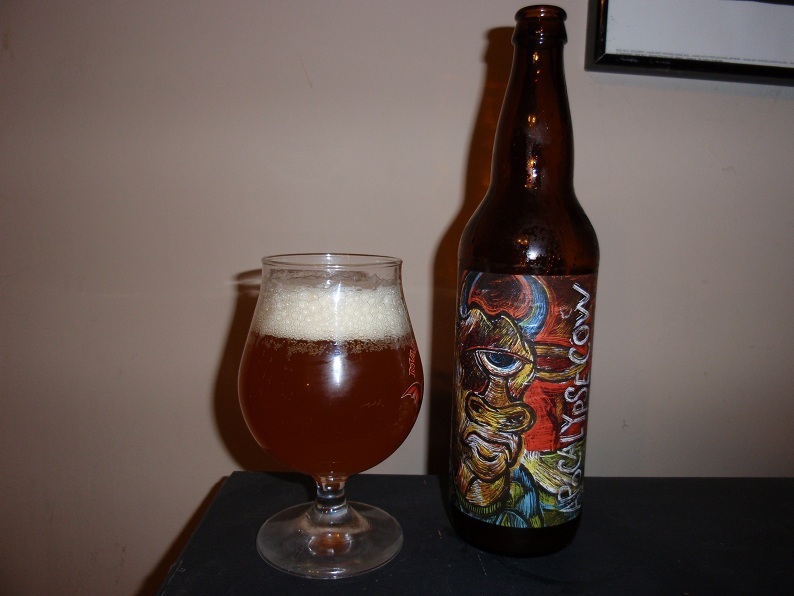 Mouthfeel is very dry and puckering and the body relatively light. While clocking in at an average 5% ABV this ale is anything but, with the intense sour esters waking you up and warming almost more than high alcohols would. By no means do I have a vocabulary vast enough to do the variety of flavors present in this Lambic justice, but put simply it is quite amazing. If you are not accustomed to sour beers this will not be an easy introduction. It is so sour I can feel it’s acidic heat in the top of my throat and the bottom of my stomach. The mix of sour esters from the lovely wild yeast and the contrasting raspberries makes for a delightful beverage. While very scarce and expensive coming in at about $20 a bottle this brew isÂ definitelyÂ worth sampling for those interested in proper Lambic Ales. As should be obvious by itsÂ notoriety and rarity. If you are lucky enough to find a bottle of anything from Cantillon you should do yourself a favor and bring it home to share with as many people as you can. Give it a shot and ride you bike.